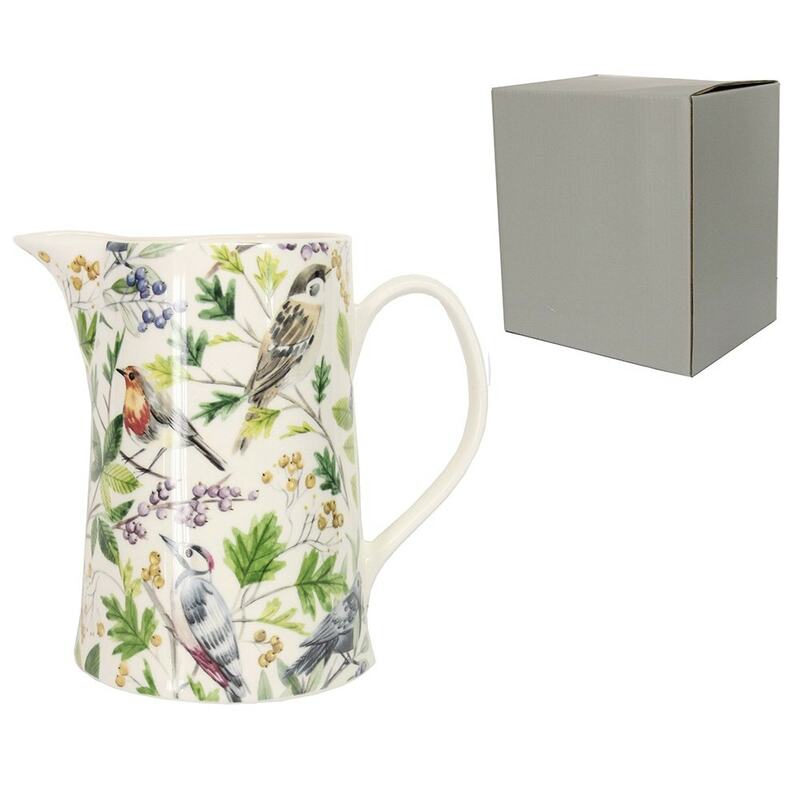 Pretty spring-themed new bone china jug decorated with an array of garden birds, berries and foliage. 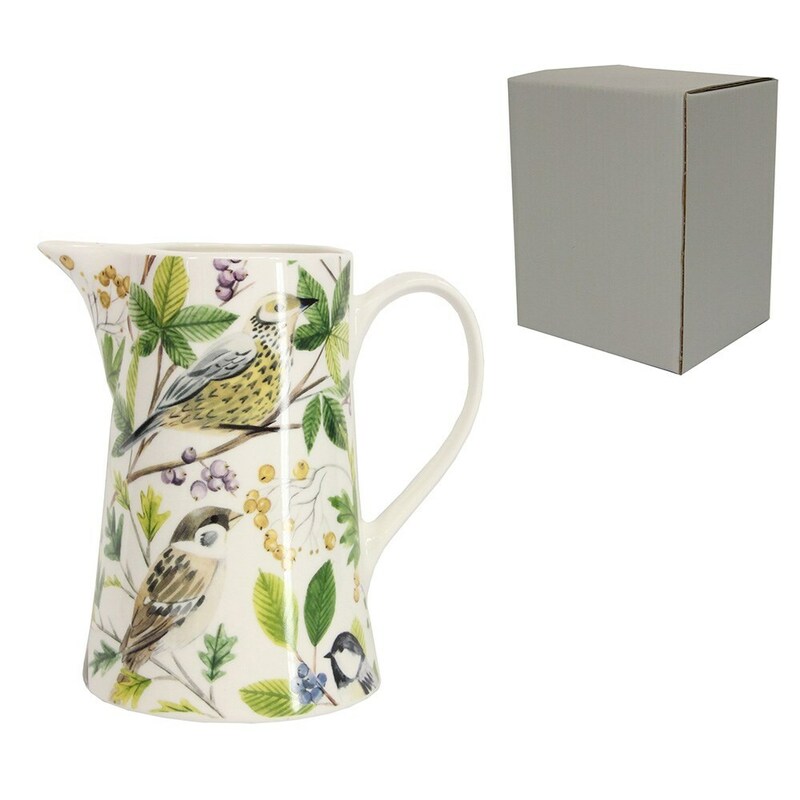 Ideal for pouring milk into your afternoon tea or morning coffee. Designed by Gisela Graham.